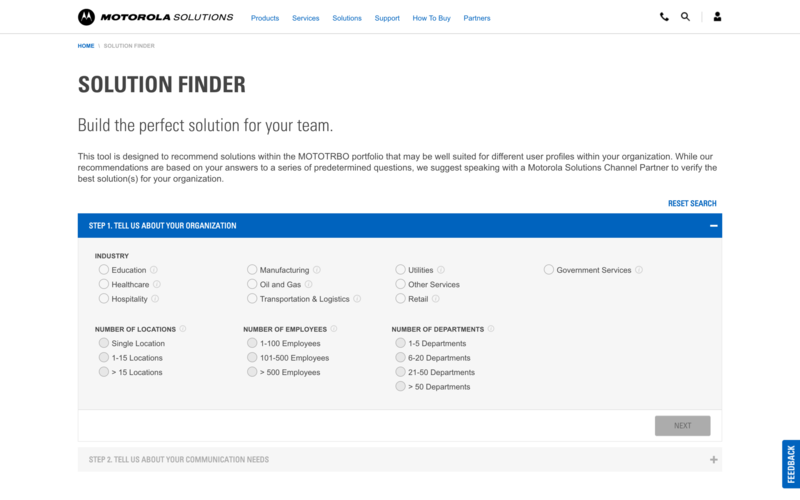 Motorola Solutions sought to create an application that would allow customers to navigate and browse products and recommended accessories, and then submit an assembled list of items for a quote by their partner channel. Wireframing for the project had already been completed by the UX team. The initial release of the app has been successful and has reduced lead time to customer connections by over 80%. Further iterative releases are planned to increase speed and optimization and reduce order fulfillment times.